Photo explosion warning! I collected here some of the outfits I wore last year, excluding the outfits of June, July and August – which I had posted about earlier here. So check that out if you want to see the summer outfits! Again I’m curious to hear which one of these is your favorite? Tässä muutamia asuja viime vuodelta, lukuun ottamatta kesä-, heinä- ja elokuun asuja, jotka aiemmin jo keräsin tänne kesäasupostaukseen. Kertokaahan, mikä näistä on teidän mielestä kivoin? It’s impossible to find only one favourite. A while ago before moving houses I donated or sold many of my clothes, bags, shoes. As a fashion blogger myself I understand the trap of overflowing closet. In my opinion there is no point of getting rid of things if you keep buying more, so I have reduced my shopping. Great recap….we share many likes! You look amazing, love all these outfits ! So true! Well done, Stella! I like no. 1, 10 and 11, Marianna! Great styling! I really like all your outfits! I like your style, it is very simple but really chic! № 19 is the best!!!!! Wow ! Love every single look ! 5, 10, 15 ja 18! Loved all the outfits Marianna! It´s impossible to choose just one, but my favourites are 7, 10, 13 and 19. Your style is just flawless Marianna! I truly enjoyed every single outfit and after so long, I still do a happy dance when a new post of yours comes online. You are still one of my favorite bloggers and I cant wait to see more of you this year! It was hard to select between these outfits, but these are definitely my favorites; 3, 8, 11, 15, 22, 27! Where do you wanna sell your stuff? Could you Put IT on eBay and sell all over the world? Every single look is amazing! 12, 13, 15 & 20! Love them! I think I like 15 the most. But numbers 1, 2, 13, 19 and 26 are that close i guess. So I went down the pictures and marked on a piece of paper my favorites and it was nearly all of them haha but I tried narrowing it down and I picked 3, 16, and 19! Have a good day Marianna! A lot of great ones:) My favorites are 2, 5, 11, 15, 17 and 22. You look really elegant in black classy heels! I really love the 1 ! Marianna, you are really beautiful! I like all of your outfits, you’re super stylish! Youare my favorite blogger and I read you every time you post! My favorite outfits are with red coat, the last one, outfit from Italy, with white dress and beige handbag. I love your style and your blog! You’re one of the blogs i check every single week! Me encanto 19 y 28! Love all these looks, such great inspiration! Honestly, it is so hard to pick my favorite outfits… 1, 2, 4, 6, 9 -12, 15, 17, 19, 21, 22, 24, 26, 27, 28 lol! Does that help you narrow it down?! Anyway kisses from Los Angeles and I hope you had a fabulous holiday season. 1 2 and 17 ! But actually all are just lovely ! Take care Marianna 🙂 Kisses from Brussels! I love all those clothes but if I have to choose I will choose No. 2 and 21. Love your outfits! Happy 2015! Girl, you’ve got your AW looks down pat! I absolutely love the way you style beanies and scarves. Beautiful outfit images, great round-up! Especially love the pink and red coat, the colors are so striking and gorgeous! 6, 10 & 17 ! So complicated to choose ! I’m in love with all your outfits…especially with pink coat!!! 6, 8, 11, 18 are my favorite !!!! you are such an inspiration for me !!! kisses from France ! I think cute and elegant outfits, such as 1, 6,7, 13, 22, 24 suit you the best! You’re so pretty, you look good in everything, but personally I’m not such a big fan of outfit no. 5. I would really like to hear more about your project of getting rid of some of your clothes – since I figure it must be pretty hard with such a load of pretty clothes 🙂 I’m not a bloger, I don’t have as many clothes and still find it hard to keep track of every piece 😉 Good luck! OMG there are to many cute outfits to chose from! 1, 11 and 25 are the best!❤️ I especially love how you style winter and fall outfits, since there are not so many bloggers from cold countries where winter actually happens;) you are my winter inspiration! Hugs from Moscow! 3, 6, 18 & 21! Jeez Marianna, It’s almost impossible to just choose one! I think 11 & 12 are my favorites. Red suits you very well! You style outfits so well, I love all the outfits. I believe we have similar styles! Vaikea valita vain yhtä noin monen joukosta mutta itse ihastuin näihin: 5, 10, 11, 14, 23 ja 27. Love all of them! Kisses Marianna. Just a tip for cleaning/organizing your closet: put everything from the maybe pile in bags or boxes. If you don’t miss them for two months, you can throw them away/give them away 🙂 I usually have a gigantic maybe pile but I barely miss anything from it haha. On mahdotonta valita yhtä parasta. Eniten pidin kuvista 2,11,12,19 ja 28. In love with all of your outfits they look so stylish but still wearable for every day. And jackets are just amazing! All these outfits are beautiful ! I think my fav is the white dress one. 10, 13, 21! Your style is amazing!! Hope you’re having a great start to the new year! 🙂 Your blog is one of my favorites! Number 6, 10 and 27! But no matter what you wear you always look great! So many different and wonderful looks! Love them all! Love, love, love 1, 10 and 20 🙂 But I like all of them, you have such a good sense of style. LOVE these outfits especially #3 and #11. Great choices! I love it many of your outfits. I can’t choose one of all because I love the complements of some pictures. 20- pants ( i am passionate of the Burundy color)and sweater. Your style is AMAZING – everything from classy to sporty suits you so incredibly well. Although it seems impossible to find a favourite outfit ot yours, I think if I had to decide I’d choose no. 3, 7, 9, 13, 15 and 17. But really, all of them are beautiful – as are you! it was very hard to choose buuuut my favorite one is the 19 !! So many amazing outfits, you’re such an inspiration! so hard to choose! Love 8, 11, 13, 17, 25! Personally I think you look beautiful in all your outfits. I remember when you first posted #14 and you made my heart skip a beat, haha. You looked really pretty trying to hold in your smile and the way your hair sort of stood out of the hood it made you look even more beautiful in my eyes. It’s the little things. Then again I also think you shined in 4,7,9,10,17,21,26 and 27. Looking forward to continue to follow you all through the year and see all the things that you do this 2015. Cheers to you, Marianna. There is no way I can only choose one ! 20- because everything match up here! Big cardigran and those boots! Love most of you outfits! nr. 2 and 5 are my favorite! 14, 16, 17, 22, 24! It is not possible to choose my favorite outfit, it could not even choose my favorite three outfits. Love all of them! 1,4,6,7,20,22,&24 are my fave. I can’t pick just one!! Love your style!! I need to cut my clothes in half too! :)))) Happy new year! It was love at first sight with 11. So so good and beautiful and maybe a little different. I loved it a lot and kept thinking about it for days 😛 It’s so good when that happens. I wanted to try to replicate it but you did it just perfectly. I have a question for you and your readers. I started my own blog, just today (in English and Dutch). 2, 3, 11, 15, 19, 27, 28 are perfect! Oh boy- well I find it hard to choose but going with 1, 4, 6, 15, and 21. I love everything about #8 the fluffy sweater, LV bag, tennis shoes. Comfortable but classy! Love your style in everything!! OMG! ! I like them all! You have a very good taste Marianna! Nr. 11 + 20 are my faves 🙂 love all your Outfits! Te invito a que visites mi blog http://www.alpasofuerte.com , hoy nuevo post!! Okay, if I had to pick one…. number 2! Different and chic. Marianna all the pictures are lovely BUT since you need our help i would say 1, 2, 6, 8, 11, 15, 28 and my two favorites 17 and 19. Well… I love them all 😀 You’re always so perfect !!! My ultimate favourite is nr 21. 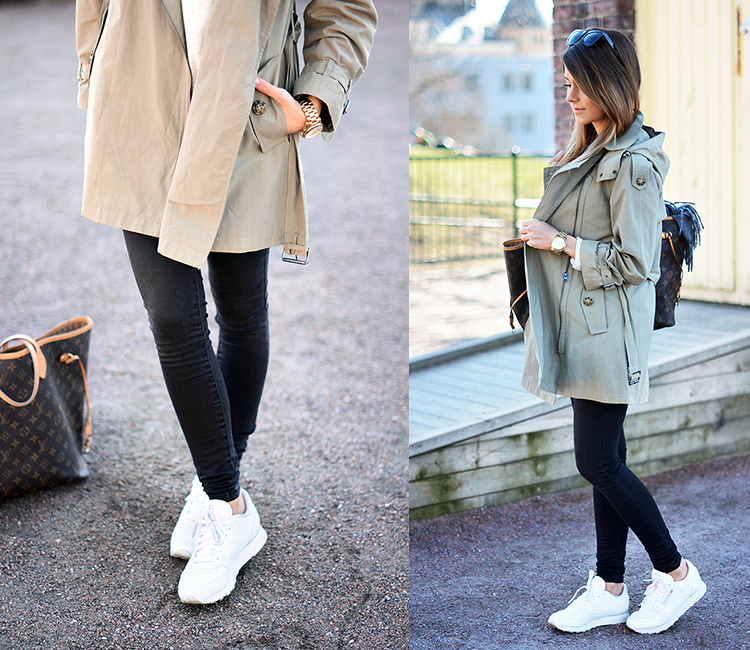 So simple, comfy and looks amazing! Honnestly I can’t chose, I love every single one of them! I really enjoyed looking at those gorgeos outfits! My favourites are: 12, 18, 22.